As the end of part 3, I was about to stock up on reagents and attempt to raid all the dungeons for the 5 stones I was missing. I stuck with that plan using level 8 of Hythloth as a hub to go between all the dungeons retrieving stones. With a good stock of magic things went much more smoothly this time around. 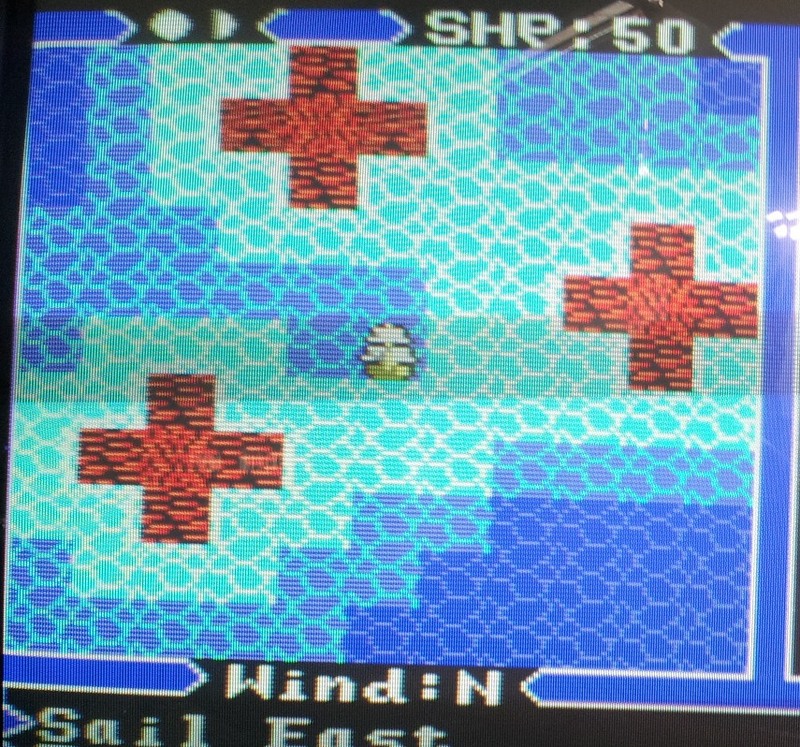 There are a few quirks with the 2D dungeons that I noticed in my travels. The way that they have been remapped means that what would be a single square of poison field ends up being a 2×2 block either requiring an extra dispel or doubling your chances of being poisoned on the way through. It’s often better just to get poisoned and cure yourself after because of this. Something that occurred to me was that if the same mechanic had been applied to treasure chests as well then my money worries were over. The port is less generous in dealing these out in the end but does still double them up. I’ve been struggling to come by gold to some extent in this port which is maybe to balance this out to an extent. I have to come up for air a couple of times but 2 or 3 hours later, I’ve got all the stones and the 3 part keys and my characters are a degree stronger than when I started out. There are still objects to be fetched which I then go around the world grabbing. 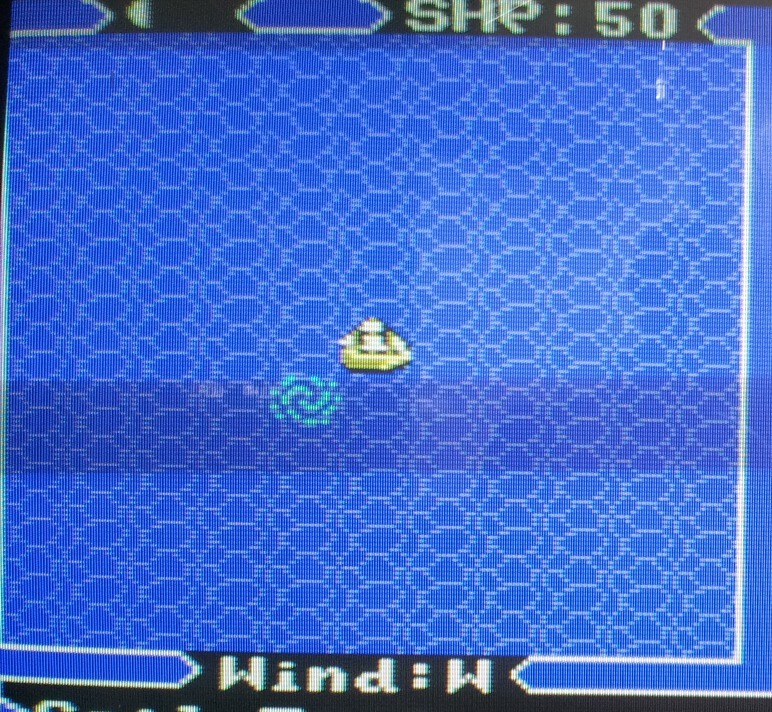 The ship I’d set aside to go to Cove in has vanished at this point forcing me to sail round the entire world several times trying to find the whirlpool again. Once that’s done and with the candle in hand I’m finally ready to enter the Abyss. I spend every last penny on reagents and head for the Isle of the Avatar. At the Abyss entrance I use the bell, book and candle. I was going to grab a screenshot only to find that I wasn’t required to use the skull on this version. I’ll assume I wouldn’t have got in without it and it must have been used automatically. Once in the Abyss, I immediately realise that I had forgotten how ferociously hard it is. 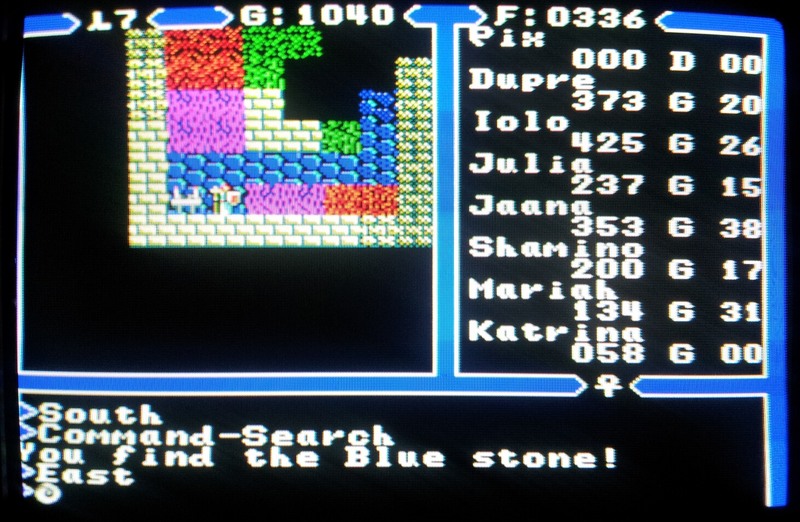 The rooms on the first level are nightmarish with lava bubbling up through the floor all over the place dealing loads of unavoidable damage to my entire party. 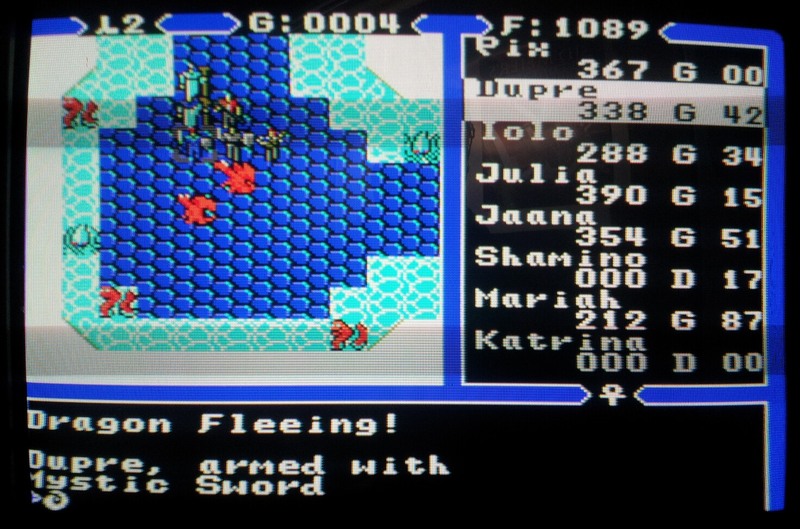 Shamino and Katrina don’t even make it to the end of level 1 but the rest of my party is still in reasonable shape so I push on resting frequently. I knew this one was trouble from the moment I walked in with a horde of reapers amassed at the back of the room. These cast sleep spells constantly but with the few party members that are still awake I do manage to clear out all the other monsters in the room. I send Iolo up to thin the reapers out but he doesn’t survive the charge and two more of my party are taken out at range while sleeping. This leaves me with 3 people still alive and out of harms way at the bottom left corner but all still snoozing. I hang around for a bit waiting for one of them to get a chance to move, occasionally seeing Jaana back on her feet only to fall asleep again before I can do anything. I decide I might as well go and make a meal rather than waiting and come back 30 minutes later to see that it’s still stuck in the same place. Bottom line I’m going to have to start the abyss again. Forewarned is forearmed of course so I’ll be more likely to cope second time around. The key with these rooms full of reapers is to have enough party members alive to spread the sleep spells around. Given that I was 2 down at the start, as soon as I lost Iolo I was done for. Some negate spells prepared would no doubt have been a good idea and maybe some offensive magic which I’ve entirely ignored up to this point. I wasn’t really well enough equipped in the first place. I’ve avoided any grinding for stats or gold and will do a little of both before I have another attempt. I’d also neglected to gather any mandrake or nightshade which was probably the biggest mistake seriously hurting my chances by leaving me unable to cast resurrect. I’ve seen nearly everything the game has to offer at this point anyway and this has been my favourite U4 without a doubt. I’ve not missed the 3D dungeons all that much in the end and the combat has dragged less than I might have expected which (as well as other previously mentioned reasons) I’m putting down to playing it on a console, laid back on a sofa with my feet up. It’s just a more relaxed way to play the game that makes it easier to switch off to an extent than sat at a desk on a PC. 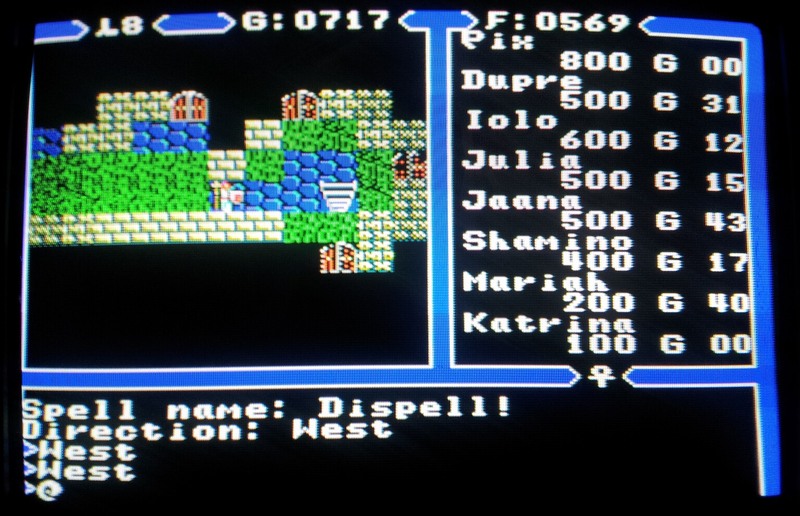 I do still think the combat is far too slow with a party of 8 but you’ve got to allow for this being a game made in 1985 with extremely different expectations from the players. The SMS port does what any good remake should do, modernising the look and feel while maintaining the gameplay that made it worth porting in the first place. All I need to do now is finish it which is the plan for tomorrow evening. If you think U4 8 PC combat is slow? Wizardry 8 without mods will make you want to give up the genre. It’s the repetition as much as the speed I guess. 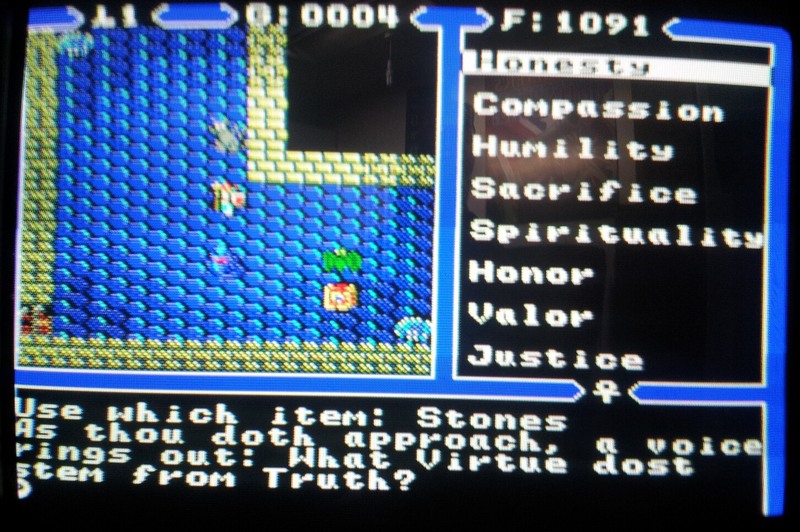 By this stage of the game I’ve seen it all before hundreds of times and the random combat barely requires concious thought. It just slows things down when I want to be getting on with it. Moving an 8 man party around 1 square at a time gets a little tiresome also. It’s only a minor complaint here. If the game was longer and I still had half of it to go after playing this long (i.e. U5) I’d feel more strongly. What it really comes down to is that I’ll always be more of an adventure gamer than an rpg player. Reams of conversation to listen to or read through don’t faze in the slightest but spending too much time in combat gets to be a chore. 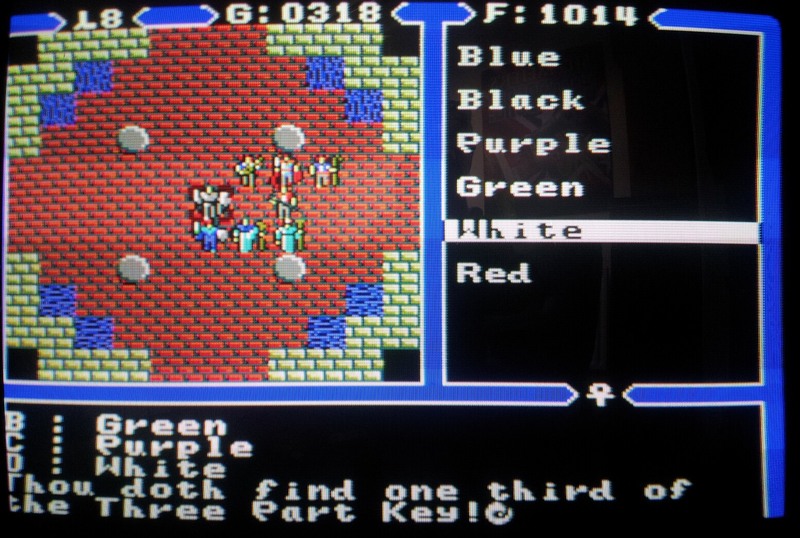 That’s definitely one of the appeals of the Ultima series as this was only ever a real issue for me in Ultima 5. 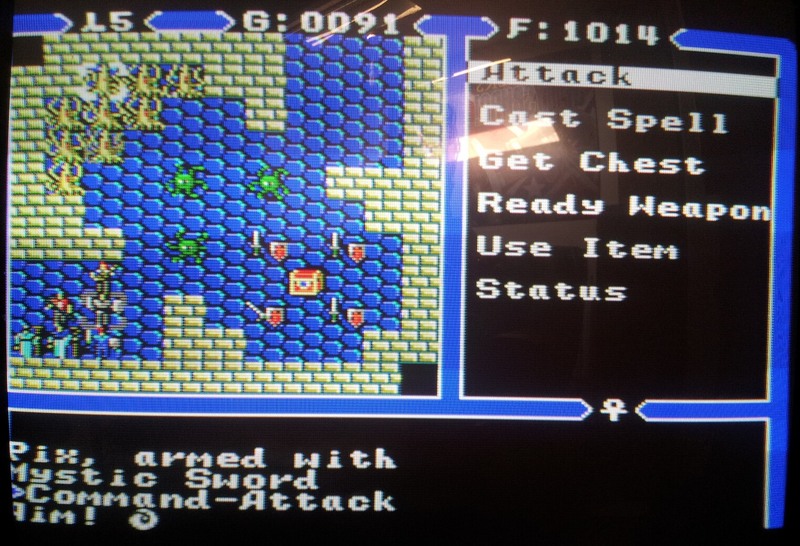 I also tend to prefer RPG’s with preplaced monsters and no random combat as such (e.g. World of Xeen) where I can work toward clearing out an area and then travel through it through it freely afterwards. Oh dear. 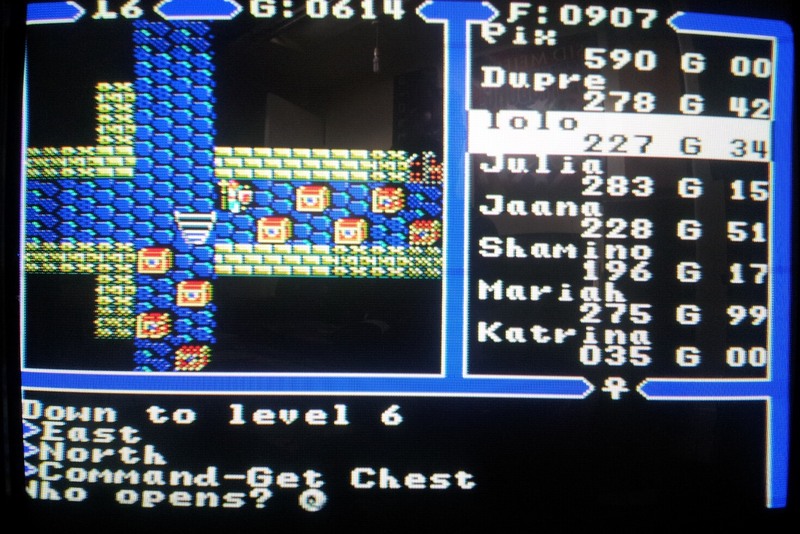 If Wizardry 8 is that bad, maybe my plan to bring a full party through 6-7-8 will be put on indefinite hold.